Cycling for two weeks and only having one day when heavy rain and high winds disrupted our plans - we are lucky chaps indeed. The west coast of France was a delight - kilometre after kilometre of smooth roads, glorious scenery and courteous drivers. The daily cafe stop where Smith would get deliriously excited about coffee in little cups! The slow thawing of Swans attitude towards France, if not the French. The "bon aimee" that flowed as generously as the wine. Winning the sprints! (At least the ones caught on camera). Having the most surreal but enjoyable meal at the Auberge du Bois in Naveranx - where virtually every patron, including the children, wished us "bon soir" and "bon appetite". Sleeping in the van in northern Spain with every door and window open because it was so warm - bearing in mind we were two weeks into October and being woken up at various stages by dogs barking, cockerels crowing or pine cones pinging off of the roof. 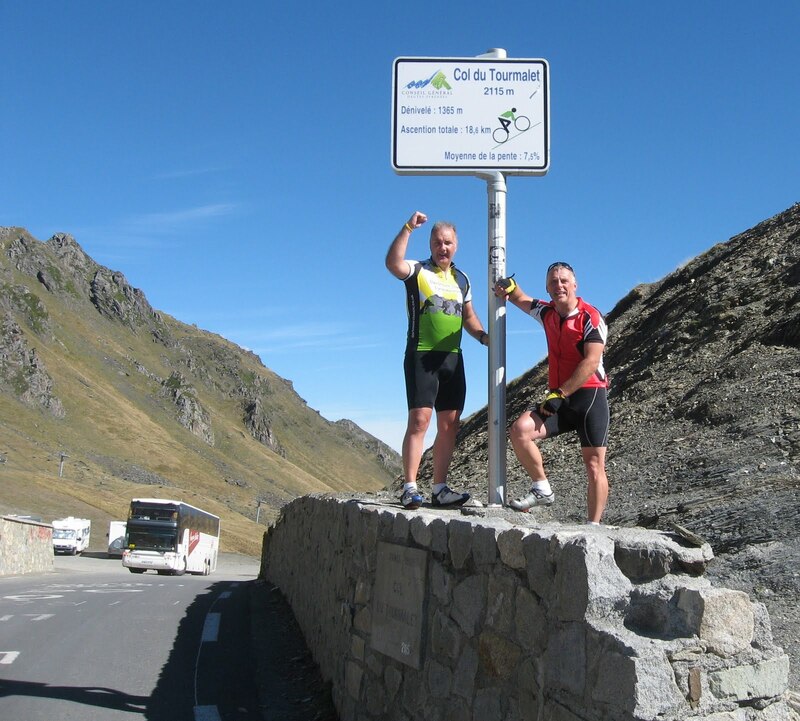 But without doubt the highlight above all others was riding the Col du Tourmalet - our shortest ride of the trip but the most gruelling and most rewarding. 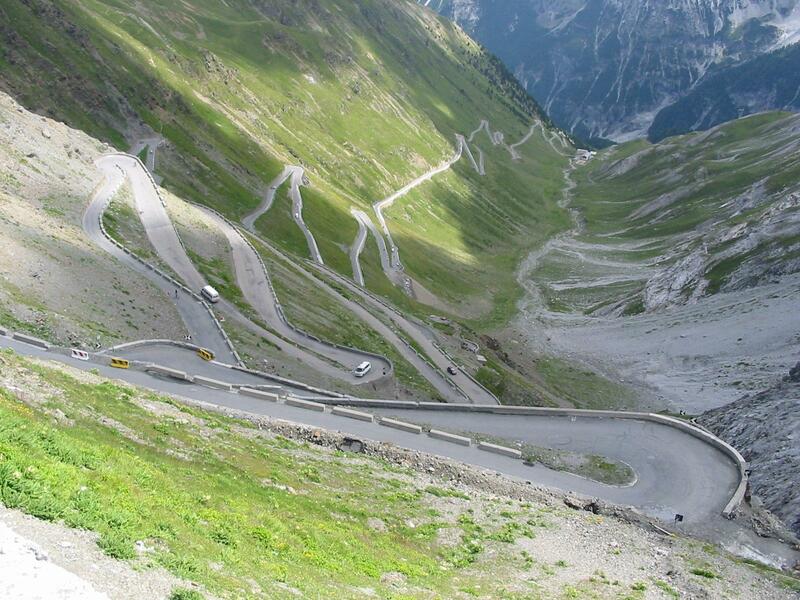 To flog ourselves up one of the most famous Tour climbs was a dream come true. To be riding the same roads that Octave Lapize had first ascended in 1910, the roads that Tour greats such as Coppi, Bobet, Anquetil, Merckx, Hinault, Indurain & Armstrong have all suffered on (to a lesser or greater degree). The joy of reaching the summit, breathless and breath taking. Sharing that overwhelming feeling of elation. The sheer pleasure of looking back down the mountain on that brilliantly clear day in absolute wonder. It all begs the question - why don't we do more of this more often? Finally - Andy and Andy - aren't you glad I come up with these trips for you to plan! Despite being outvoted on everything because I'm not called "Andy" thank you both for your company - it was a real pleasure and I hope it's not too long before the next one! To the regiment! Whilst not a Le Jog type event with less miles to do the whole experience will stay with me forever. There were some bland days into horrible head winds (Vendée) however whilst grinding out the miles I remembered similar feelings on Le Jog so the memory tends to blot out the bad. However the good far outweighed the bad with some stunning scenery, beautiful villages and towns and well maintained roads and as usual poor company! The highlight of the trip must be the ride up Le Tourmalet in brilliant sunshine and warm temperatures- hard work does not come near summing it up the camaraderie at the top between cyclists and supporters was tremendous. Again I must thank Swanny for all the driving photos and Video clips taken during the whole ride- clear evidence of just how low some people (Kearney) can stoop when the camera is running. All I can add is where next....... "Demain on roule"
All I can add to the musings of the “cyclists” (well they did do some cycling I suppose but I did three times the miles driving) is that the whole experience exceeded my expectations by a mountain. In truth I was more apprehensive about this trip than our previous journey the length of Britain principally as, apart from the initial mileage in France through the Vendée, this was to be for me completely foreign territory, a substantial portion of which I would be flying solo. Britain was a known quantity with easy to follow maps and places I knew I would like to visit ~ plus we do drive on the "right" side of the road. France on the other hand was......................well French! But to my horror I actually found I enjoyed the whole experience and was really disappointed to finish the French part and enter Spain. The last few days there were still enjoyable but not in the same ballpark for me. Sadly the days of drinking red wine by the 5L box (that’s 6 bottles in layman’s terms) and sampling those delicious cheeses are behind us but hopefully the experience will be repeated in 2012 – loved one’s permitting – oh and wives too of course. Although it will be different next time as it was quite possibly the final trip for my California campervan and the next venture, with maybe more participants, will be a whole new adventure. But if this was to be our last trip with her by god the old girl did us proud !! Oh and how could we have not slept so soundly at night without Constable Dunstable - well actually some made more sound than others! But strangest of all – none of us can explain this moment on the day they cycled up the Tourmalet. Well I sincerely enjoyed reading it. This article procured by you is very constructive for good planning. love the info you present here and can't wait to take a look when I get home.